#1: Tuesday “The first bomb went off in al-Doura region in al-Mekanic neighborhood, southern Baghdad, injuring five civilians,” the source told Aswat al-Iraq news agency. #2: Tuesday “The second blast occurred in the Palestine street in eastern Baghdad, targeting a police vehicle patrol, during which three policemen and two civilians were wounded,” he added, without giving further details. #3: Monday Three gunmen using pistols with silencers killed one civilian and tried to flee but Iraqi army soldiers clashed with the three men in Haifa Street killing two and one managed to flee yesterday. #4: Tuesday One man was killed when a magnetic bomb stuck to his car exploded near Iraqi Federal police checkpoint at the entry point to Al Amil neighborhood on the airport road around 1:30 p.m.
#1: A magnetic bomb stuck to the car of an Imam exploded in Baladrouz town northern of Baquba. The Imam was injured and another civilian. #1: Gunmen in a moving car fired on an army checkpoint, killing three soldiers and wounding another in Mahmudiya, 30 km (20 miles) south of Baghdad, police said. #1: Unknown gunmen on Wednesday kidnapped a civilian on Wednesday and set his vehicle ablaze in southern Kirkuk, a source from the joint coordination center said. “The gunmen kidnapped the civilian in front of his house in al-Nasr neighborhood in southern Kirkuk,” the source told Aswat al-Iraq news agency. “They set him free after beating him,” he added. #1: Tuesday A policeman was killed by gunmen in al-Zeraaie neighborhood in northern Mosul,” the source told Aswat al-Iraq news agency. #2: Iraqi police found the body of a woman with gunshot wounds north of Mosul, 390 km (240 miles) north of Baghdad on Tuesday, police said. #1: Six militants were killed in a US missile strike in northwest Pakistan on Wednesday, security officials said, in the third such attack on the Taliban's tribal strongholds in 24 hours. The unmanned drone targeted the lawless region of North Waziristan, a Taliban bolthole where Washington says Islamist fighters are hiding out and plotting attacks on Western troops stationed in neighbouring Afghanistan. "It was a US drone attack which targeted a compound in Norak area in North Waziristan killing six militants. Two missiles were fired from a US drone at 2:10 pm (0810 GMT)," a security official in the region said. #2: More than 20 Taliban were killed in a massive operation in western Afghanistan, the interior ministry said Wednesday, as the United States considers sending more troops to battle a worsening insurgency. Insurgents have spilled over the provincial border from Helmand into western Farah, where the fierce battle took place on Tuesday night. The interior ministry said in a statement that Afghan and international forces killed 22 Taliban militants during the operation by Afghan police and army, backed by coalition forces, which lasted almost four hours. There were no police casualties, it said, adding that the operation in the Pusht Rod district began at 8.30 pm (1600 GMT) and lasted until midnight. #3: A bomb planted by suspected Taliban insurgents went off Wednesday in Khost province, east of Afghanistan, wounding three persons including a tribal elder, police said. "The blast occurred in Khost city, the capital of Khost province at around 2:30 p.m. local time (GMT1230) wounding Ghazinawa Tanai along with two others," deputy to provincial police chief Gul Dad told Xinhua. The Washington Post is reporting the deaths of two U.S. Navy service personal in a roadside bombing on Jolo island. Philippines on Tuesday, September 28th. One Philippine marine was killed and two others were wounded in the blast. We believe that these are OEF casualties but are waiting for conformation pending from the DoD before adding these to the count. No ISAF service members were killed over the past 24 hours. #1: Monday Security forces killed two suspected militants in central Baghdad, security sources said. According to one police source, the gunmen had shot and killed a man before being chased and killed by police. #2: A bomb attached to a car killed its driver in southwest Baghdad's Amil district, police said. #3: An Iraqi police force detonated a car bomb driven by a suicide bomber before he could manage to reach a security checkpoint in southwestern Baghdad, the Baghdad Operations Command (BOC) said Tuesday. “The incident took place at the entrance of al-Amil neighborhood, at the side close to Baghdad International Airport (BIAP),” General Qassim Atta, the BOC’s official spokesperson, told Aswat al-Iraq news agency. He said that the bomber was killed instantaneously. #1: Monday A mortar round wounded three people when it landed in a village southwest of the city of Kirkuk, police said. #1: Unknown gunmen have kidnapped a girl from her house in Kirkuk city, a security source said on Tuesday. “During a late hour on Monday evening, a girl was kidnapped from her house in Wahed Hozayran area, southwestern Kirkuk, by three men driving a red Mazda,” the source told Aswat al-Iraq news agency.An investigation is currently underway, the source noted. #1: Two policemen were killed and two others were wounded in a bomb blast in eastern Mosul, a security source said Monday. “An improvised explosive device went off on Monday afternoon (Sept. 28) targeting a police vehicle patrol in Dourat al-Hamam, eastern Mosul, killing two policemen and injuring two more,” the source told Aswat al-Iraq news agency. #2: A disabled policeman was wounded on Monday by gunmen in eastern Mosul, according to a police source. “Unknown gunmen opened fire on the policeman near his house in al-Khadraa neighborhood in eastern Mosul,” the source told Aswat al-Iraq news agency. #3: A bomb attached to a car killed cleric Basheer al-Jihaishi, a member of the al-Hadba Sunni Arab local political party in western Mosul, 390 km (240 miles) north of Baghdad, police said. #4: Police said they found the body of a man who had been hanged, with the rope still around his neck, in southwest Mosul. #1: Monday Two suspected insurgents were killed and a third was wounded in an explosives accident in Tal Afar, 420 km (260 miles) northwest of Baghdad, police said. #1: Monday A suicide bomber driving a water tanker packed with explosives blew himself up near a police station, killing seven policemen and wounding 10, said Hussein Ali, a police major in the area west of the city of Ramadi, 100 km (60 miles) west of Baghdad. #2: Gunmen booby trapped and blew up the house of an intelligence employee, Mohammed Khudhaiyir, in Saqlawiyah, 15 km to the north of Fallujah before dawn, Monday. The explosion destroyed the house but caused no human casualties because the family had recently received threats and moved to live with relatives. #1: A missile killed six Taliban fighters in northwest Pakistan on Tuesday, intelligence officials said, apparently the latest strike in a covert U.S. program that American officials are considering intensifying. An unmanned U.S. drone targeted a Taliban compound in the South Waziristan tribal region and killed six insurgents, including two Uzbek fighters, and wounded six others, two Pakistani intelligence officials said on condition of anonymity because they were not authorized to release the information. The missile attack occurred in Sararogha village, the base of former Pakistani Taliban chief Baitullah Mehsud, who was killed in an Aug. 5 strike by an American drone. #2: At least 30 civilians were killed when a bus hit a roadside bomb in southern Afghanistan on Tuesday in an attack blamed on the Taliban, the interior ministry said. The dead included 10 children and seven women, the ministry said, revising an earlier toll from the local governor's office. "Thirty people were killed," the ministry said in a statement, adding that 39 others were wounded. The governor's office said the bus was travelling from the western city of Herat to Kandahar when it hit an improvised mine in Maywand district, the Taliban's weapon of choice which has claimed hundreds of lives. #3: In Waziristan, the militants attacked security check posts in Nawazkot, Spin Qamar and Razmak during clashes with security forces in which 16 militants were killed. #4: Meanwhile, according to an Associated Press report, one Pakistani soldier was killed and seven others were critically wounded in a militant rocket attack on an army camp in the northwest. The military responded by firing heavy artillery on the Razmak, Ladha and Makeen areas, killing 18 insurgents, the AP quoted two intelligence officials as saying. #5: Separately, in the Orakzai tribal region, helicopter gunships pounded militant positions, killing 10 insurgents and wounding several others in three villages, intelligence officials told AP. Update from Sundays post -- The French MoD reports the deaths of four French ISAF soldiers in two accidents in Afghanistan on Sunday, September 27th. In the first incident three soldiers died due to weather conditions in Kapisa Province. In the second incident one soldier died and five were injured when a vehicle fell into a ravine east of Kabul, Afghanistan. NATO is reporting the deaths of two American ISAF service personal, one from in IED attack and another in an insurgent attack in undisclosed locations in southern Afghanistan on Saturday, September 26th. KING5.com is reporting the death of a former Navy SEAL Ryan Job who died Thursday while undergoing surgery to repair wounds he suffered in combat. He was wounded three years ago in Iraq when a snipers bullet hit the stock of his gun sending shrapnel through his eye. #1: A roadside bomb struck an Iraqi army patrol in a western Baghdad neighborhood on Monday, killing three soldiers and wounding 15 people, a well-informed police source said. The blast took place at the Ghazaliyah neighborhood on Monday afternoon when a makeshift bomb hit a convoy of military vehicles, the source told Xinhua on condition of anonymity. The bomb destroyed one of the vehicles, killing three soldiers and wounding four others aboard, he said, adding that 11 civilians who were close to the scene were also wounded. "An IED (improvised-explosive device) targeted an army patrol in Ghazaliyah, wounding just one civilian and causing some damage," said an interior ministry official who spoke on condition of anonymity. "As the army and some civilians gathered and police arrived on the scene, another IED exploded nearby, minutes later." "The bombs killed three soldiers and wounded 28 people." #1: The Batira military airport was hit by Katyusha rockets during a late hour last night, a local security source said on Monday. “Five Katyusha rockets targeted the airport (10 km northwest of Amara), causing no casualties or damage,” the source told Aswat al-Iraq news agency. “Two missiles were fired from al-Dawajin area (3 km north of Amara), while three others were fired from a park in downtown Amara city,” the source pointed out. #1: A bomb planted on a minibus south of Baghdad killed six people and wounded two others on Monday, Iraqi police said. The bomb was planted on the rear part of the vehicle, which was travelling in an area just north of Diwaniya, 150 kilometres south of Baghdad. All those killed in the attack, which took place in the small town of Saniya, were passengers, police said. Eight civilians on Monday were killed or wounded when an explosive charge went off north of Diwaniya province, according to a local security source. “Today, a sticky improvised explosive device (IED) hit a bus coming from Babel province in al-Saneyya district (15 km north of Diwaniya), killing six civilians and injuring two others,” the source told Aswat al-Iraq news agency. #1: Police in northern Iraq on Monday found the bodies of four Kurdish peshmerga militiamen executed by the side of a road near Mosul, police told Baghdad's Buratha news agency. Police on a regular patrol of the road between Mosul and the nearby town of Tel Afar found the four bodies with multiple gunshot wounds to the head, the news agency reported, and brought them to Tel Afar for return to their families. #2: A bomb detonated in west Mosul on Sunday afternoon injuring a civilian. #1: A bomb that was planted inside rubbish container near Fallujah high school in downtown Fallujah city west of Baghdad detonated around 10 a.m. injuring four civilians including two children. #2: A bomb detonated in downtown Fallujah city on Sunday morning targeting police patrol. No casualties were reported. #3: Two emergency policemen were killed and six others were injured in a suicide bombing that targeted their base near Ramadi city, a security source said on Monday. “A suicide bomber driving a tanker rigged with explosives detonated himself near an emergency police base in al-Kilo 35 area, west of Ramadi area,” the source told Aswat al-Iraq news agency. #1: On Sunday, Taliban militants ambushed a group of truck drivers in eastern Kunar province, killing six of the drivers and burning their vehicles, the Interior Ministry said in a statement. A seventh truck driver was kidnapped. #2: Also Sunday, a private van hit a roadside bomb in northern Faryab province, the ministry said in a separate statement. Six of those inside were killed and another seven injured, the statement said. #3: An anti-Taliban tribal elder and three guards were killed by a suicide car bomb on Monday in northwest Pakistan, which is reeling from a spike in deadly militant attacks, police said. The attacker rammed a car packed with explosives into a vehicle carrying the pro-government local leader — who had condemned Taliban tactics — in a town on the edge of the lawless tribal areas where militants hold sway. The blast struck in Bakakhel town, just on the outskirts of Bannu district, about 150 kilometres south of Peshawar. #4: But an IED blast just outside the village's limits sent a Canadian soldier to hospital with a serious leg injury and angered Brig.-Gen. Jonathan Vance, the commander of Task Force Kandahar. #5: One civilian was killed and another wounded when foreign troops working for the NATO-led force fired on their car in northern Kunduz province, police chief Abdul Razzaq Yaqubi said. #6: Taliban gunmen have attacked an Afghan army convoy in the village of Shewan in western Farah province. So far two Taliban fighters have been killed and two Afghan soldiers have been wounded, a spokesman for the Afghan army said. #7: Six civilians were killed in a roadside bomb in eastern Kunar province on Sunday, the Interior Ministry said. #8: The Taliban hanged a man they accused of being a government spy in Bala Morghab district of northwestern Badghis province on Saturday, a police spokesman said. #9: An explosion shocked 9th precinct of Afghan capital Kabul Monday morning and caused concern among the war-weary citizens. However, an official with the Interior Ministry described the blast as controlled one conducted during security forces maneuvering. The official who declined to be identified said security personnel carried out the blast as part of exercise in Pul-e-Charki area in east of the capital city. Another controlled blast close to former British embassy Sunday night also caused panic among the residents of the war-torn capital. #10: The security balloon set by NATO-led forces on the space of Kunduz province in north Afghanistan was shot down, a local newspaper reported Monday. Daily Arman-e-Millie in its edition quoting Shikh Saadi, governor of Dasht-e-Archi district, as saying that the balloon was shot down on Saturday night. An Iraqi detainee sits in his cell. Iraqi security forces have recaptured three Al-Qaeda members, police said, two days after a daring breakout which officials believe was an inside job. Suicide bomb attack on a police station kills 4 police, injures 4 others. Note: Other sources give differing casualty tolls -- Xinhua says 3 killed, 7 injured, Reuters 3 killed, 8 injured. Pick the one you like. One injured by IED in al-Risala neighborhood, southwestern Mosul. U.S. surveillance drone crashes into the headquarters of the Iraqi Islamic Party, causing severe damage to the building. U.S. troops recover the wreckage. second officer killed as he was walking to a market in the Karama neighborhood in east Mosul, the police said. Bomb attack on a police patrol injures 2 officer. Unidentified gunmen storm the house of a gynecologist in and abduct her. The doctor is Christian and the town is predominantly Christian. However, the motive is not clear at this time. According to joint communique issued at the end of the meeting, the foreign ministers expressed support for Iraq as it prepares for 2010 national elections, and underlined the importance of regional support to the Iraqi government and people in their efforts to achieve a prosperous, united, and democratic Iraq that lives in peace with itself and with its neighbors and "respects its international obligations." 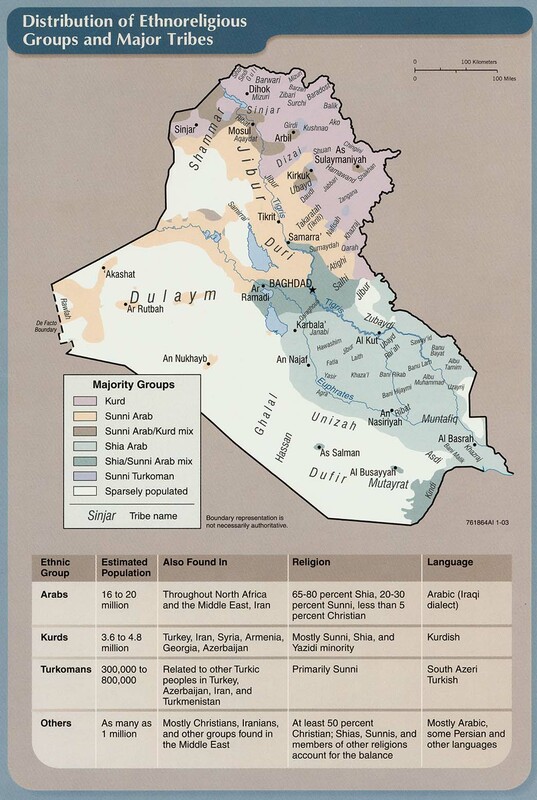 It is worth mentioning that Iraq wants to come out from under Chapter VII, but the international community keeps reminding it that it has to comply with the remaining Security Council resolutions first before it is allowed to join the international fold. They welcomed Obama's "important" statement before the UN General Assembly last Wednesday when he called for the re-launching of negotiations - without preconditions - that address the permanent status issues: security for Israelis and Palestinians, borders, refugees, and Jerusalem. The ministers reiterated their call for a freeze on settlement activities and expressed their continued support for an independent, viable, and democratic Palestinian state living side by side in peace and security with Israel, with contiguous territory that ends the occupation that began in 1967, in accordance with the relevant UN Security Council resolutions, the Road Map, and the Arab Peace Initiative. They reiterated their full support for the Palestinian Authority under the leadership of President Mahmoud Abbas and the Palestinian government led by Prime Minister Salam Fayyad and their efforts to build the institutions of a future state. They also reiterated their support for achieving a comprehensive peace in the Middle East. Time Magazine's Andrew Lee Butters discusses the situation of the 400,000 (yep, that's the number) former Baathists who are now refugees in Syria. (If you don't think this constitutes a big problem with potential for big trouble, think again. - C) The Syrian government and some Baathists have shown signs of looking for a path toward reconciliation and repatriation, but the Maliki government has not been reciprocating, according to Butters. Iraq's president said new sanctions against Iran won't work and warned Saturday that Iraq will never allow Israel or any other country to use its airspace to carry out an attack against Iranian nuclear facilities. President Jalal Talabani said the six major powers dealing with the Iran nuclear issue — the U.S., Russia, China, Britain, France and Germany — should conduct "a real negotiation" with Iran and guarantee Tehran's right to the peaceful use of nuclear energy. "Perhaps it will work — perhaps," he told a news conference. 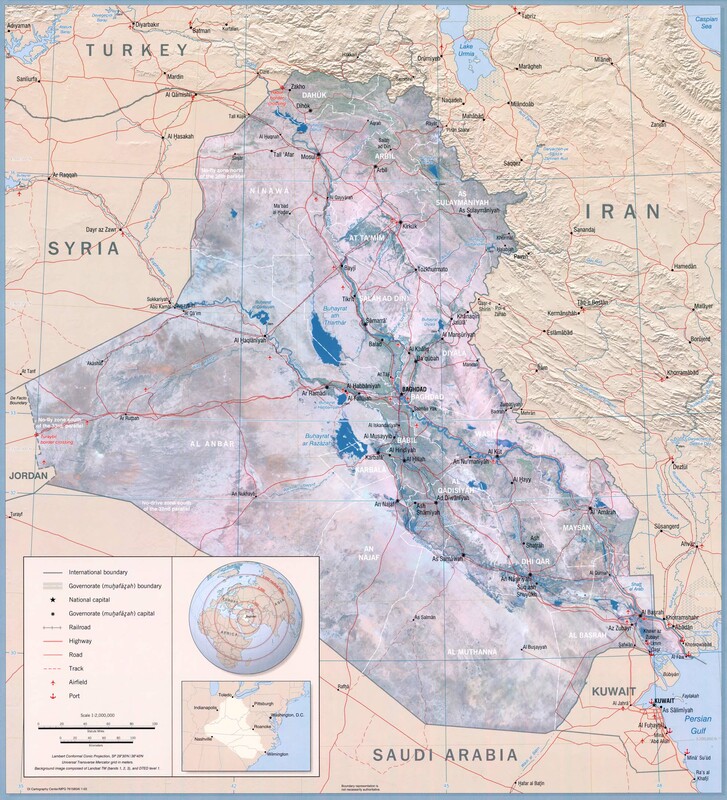 Iran and Iraq fought a war from 1980-88, but relations between the two Shiite majority countries have improved following the ouster of Saddam Hussein and the election of a Shiite-led government in Iraq. Talibani was asked whether Iraq believes the Iranian government when it says it is not trying to develop nuclear weapons, especially in light of this week's revelation of a new and still unfinished Iranian uranium enrichment facility. "I think the Iranian leadership explained that the bomb is against Islam because it's killing innocent people," he said. "So they said openly that they are not for having the bomb but only the use of technology." A soldier from 2nd Battalion The Royal Welsh has died following an explosion in southern Afghanistan, the Ministry of Defence said. Three French soldiers killed in a storm in Kapisa Province during night-time operations. One is struck by lightning, two are swept away in a flash flood. Roadside bomb kills 3 civilians, injures 4 in Bala Boluk, Farah. Car bomb attack on the passing convoy of Afghan Energy Minister Mohammad Ismail Khan in Herat kills 4 civilians, injures 17 people including 3 of his bodyguards. Khan escapes unhurt. Kurdistan’s example as a corrupt nation is unprecedented in the history of the Kurds. For example, almost all of Kurdistan’s budget is going towards 60-70% of the salaries and wages for civil servants in the government; which as a result has made most of them loyal to the ruling parties. We might find more pensioners in Kurdistan taking early retirement with a salary of $5000 per month. Anyone connected with the Talabani rule and loyalty will have a good salary, first class house, top posts given to their son, daughter etc. The two ruling parties have taken 30 million dollars per month from the Kurdistani budget to feed their fellows like drug addicts; the more they give them the more demanding they become to prove their loyalty to their leadership. #1: Two policemen were wounded when an improvised explosive device (IED) went off in northern Baghdad on Friday evening, a security source said. “The IED, planted by unidentified persons on the highway in al-Waziriya neighborhood, northern Baghdad, went off just as a police patrol was driving by, leaving two patrolmen wounded and causing severe damage to the vehicle they were boarding,” the source told Aswat al-Iraq news agency on customary condition of anonymity. #1: A sticky improvised explosive device (IED) went off in front of the house of a judge in the First Ninewa Criminal Court in northern Mosul city on Friday, a local police source said. “The charge went off in front of Judge Kamel Saeed’s house in al-Hai al-Ziraie neighborhood, northern Mosul, but the explosion left no casualties,” the source told Aswat al-Iraq news agency. #2: A U.S. unmanned aircraft has gone down on an Iraqi Islamic Party (IIP) headquarters in southern Mosul city, a media source said on Saturday. “The crash, which occurred in al-Ghazlani area, southern Mosul, caused slight damage to the building,” the source told Aswat al-Iraq news agency. There has been no word on casualties, the source noted. No comment was immediately available from the U.S. side. #3: Police said they had found the body of civilian with bullet wounds to the head and chest in western Mosul, 390 km (240 miles) north of Baghdad. #1: Anti-government militants in the latest wave of attacks against establishments have destroyed boasting tower of a mobile company in Kapisa province, some 80km north from Afghan capital Kabul, a press release of Interior Ministry said here Saturday. #2: Afghan police back by the U.S.-led Coalition Forces killed eight Taliban militants in the outfit's stronghold Helmand province in southern Afghanistan on Friday, a statement of Interior Ministry issued here on Saturday said. "A group of militants ambushed join convoy of Afghan National Police and Coalition Forces in Nawa district and police returned fire, as a result eight militants were killed and three others injured," the statement added. No causalities on joint forces were reported, it said. #3: Eighteen Taliban insurgents were killed as they stormed Archi district in the Kunduz province of northern Afghanistan in the wee hours of Saturday, said Mohammad Omar the governor of Kunduz. "A group of armed militants raided the district Headquarter of Archi at around 2 a.m. local time (GMT 2130) when police encountered killing 18 rebels and wounding three," Omar told Xinhua. Taliban purported spokesman Zabihullah Mujahid claimed responsibility of the attack, but adding Taliban fighters carried out the attack occupying the HQ of Archi. However, the official rejected the claim by saying "only three police constables were injured in firefight,"
#4: A suicide bomb was detonated outside a bank affiliated with the army in Peshawar, the capital of North West Frontier Province, police said. Ten people were killed and 79 wounded, said Sahibzada Mohammed Anis, a senior government official. #5: A suicide blast also hit a police station in the province's Bannu district (NWFP) earlier Saturday, killing at least six people and wounding nearly 70 others, police said. The Taliban claimed responsibility for that attack. #6: A third bomb exploded in the northern town of Gilgit (NWFP), wounding four people, Pakistan's SAMA news channel quoted local police Chief Ali Sher as saying. He described it as a "low-intensity bomb" but provided no further details. #7: A rocket fired by Afghan security forces during clash with Taliban militants in the northern Baghlan province Saturday left one person dead and injured two others including a child, police said. "Security forces came in contact with Taliban rebels in Shiringali village of Baghlan-e-Markazi district this morning during which a rocket fired by the troops hit a house killing one woman and wounding three others including one child," a police officer Gul Aqa told Xinhua. He also added that the fighting is continuing between the two sides. A similar incident in the eastern Kunar province Friday also left four civilians dead and injured three others. #8: One policeman was shot dead and another wounded when Taliban gunmen attacked a police checkpoint in western Herat province, some 100 metres from the border with Iran, a security official said. A Taliban spokesman confirmed the group were behind the attack. #9: Three men were shot dead and one other was hanged by Taliban militants after Friday prayers in the Guzara district of western Herat province, a police spokesman said. A Taliban spokesman said the men were killed for being government spies. Note: I really didn't feel like doing this post this morning. But I fought off through the cobwebs in my head and at least got something done -- whisker. NATO is reporting the deaths of five American ISAF service members in separate attacks in undisclosed locations in southern Afghanistan on Thursday, September 24th. Some details are in the release. #1: A roadside bomb targeted civilians in Doura, southern Baghdad at 8 p.m. Thursday, injuring four. And another bomb was discovered nearby and was successfully defused. #2: An improvised explosive device went off Friday afternoon targeting a police vehicle patrol in central Baghdad, a security source said.“An explosive charge went off Friday (Sept. 25) targeting a police vehicle patrol on the highway in al-Wazieriya region, central Baghdad, leaving unspecified number of casualties,” the source told Aswat al-Iraq news agency. “The blast caused material damage to the police vehicle,” he added, noting that security forces sealed off the whole region. #1: Three civilians were wounded when an improvised explosive device (IED) went off near their vehicle in the district of al-Saadiya, eastern Diala, on Thursday, a local security source said. “The IED exploded near a civilian vehicle in the area between Imam Weis and al-Saadiya district, (35 km) south of Khanaqin, leaving three people wounded,” the source told Aswat al-Iraq news agency. Two roadside bombs wounded four civilians in the Doura district of western Baghdad on Thursday, police said. #1: A controlled explosion of weapons confiscated by the Iraqi military went awry Friday, killing 11 Iraqi soldiers, Iraqi military officials said. The blast took place in an area where American and Iraqi forces routinely carry out explosions to destroy weapons seized during raids in and around the northern city of Mosul, which the U.S. military has called the last stronghold of al-Qaida in Iraq. The explosion occurred while the soldiers were preparing the materials for the controlled explosion just east of Mosul, 225 miles (360 kilometers) north of Baghdad, said two military officials. Fifteen Iraqi soldiers were killed accidentally during what were meant to be controlled explosions in a town outside the northern city of Mosul on Friday, a defence ministry official said. Among the dead was one army officer, while one soldier was also seriously wounded, said the official, who declined to be identified because he was not authorised to speak to the media. The accident occurred on the outskirts of Baashiqa, around 30 kilometres (18 miles) northeast of Mosul. A military source told a foreign news agency the soldiers were carrying out routine controlled explosions of roadside bombs which had been collected in the area over the previous week. A total of 15 Iraqi army soldiers were killed Friday in a booby-trapped car blast in Ninewa, according to a security source. #1: At least 12 people have been killed and five injured in a suspected US drone attack in north-west Pakistan, district officials say. They said the attack targeted the stronghold of the high-profile Tailban commander Jalaluddin Haqqani, in the North Waziristan tribal area. #2: A clash between militants and security forces claimed the lives of three Taliban fighters in the western Nimroz province, provincial governor Ghulam Dastgir Azad said Friday. "The rebels attacked security forces in Dilaram district Thursday evening and the troops returned fire, as a result three Taliban fighters were killed," Azad told Xinhua. An American soldier also sustained injuries in the firefight, which lasted for a few hours, the official added. #3: Taliban militants stormed a police checkpoint in Helmand province south of Afghanistan, killing one police constable and wounding seven others while over a dozen militants died in the gun battle, a local official said Friday. "The rebels raided police checkpoint in Shakariz village of Musa Qala district on Thursday, during which one police lost his life and seven others sustained injuries," district chief of Musa Qala Mullah Abdul Salam told Xinhua. He added that so far neither Afghan reinforcement nor international troops have extended cooperation to dislodge the advancing militants. #4: Two Italian soldiers were injured in southwest Afghanistan on Thursday after being attacked by militants. Sources in the Italian defence ministry told Adnkronos that the attack occurred during a humanitarian operation in Shindand, around 100 kilometres north of Farah, in the southwest. As soon as the attack occurred, two A10 fighter aircraft from the multi-national International Security Assistance Force were called to reinforce the troops under attack.One of the Italian soldiers was injured in the hand, while another was wounded in the neck. #5: A gun battle between Afghan police and Taliban in the troubled Helmand province in south Afghanistan left two militants dead on Friday, provincial police chief Assadullah Shirzad said. "A group of Taliban insurgents were busy in planting mine on Gereshk-Herat highway this morning when the police got information and stormed the insurgents, killing two on the spot," Shirzad told Xinhua. There were no casualties on the police, he contended. The DoD is reporting a new death. Tech Sgt. James R Hornbarger died in a non-hostile incident somewhere in the Mediterranean on Sunday, September 12th. No ISAF members were killed in the last 24 hours. #1: A roadside bomb went off in the commercial district in Saidiyah, southern Baghdad at 11 p.m. Wednesday causing no casualties. #2: A roadside bomb targeted a U.S. military convoy on the highway in Ghazaliyah, western Baghdad at 11.30 p.m. Wednesday. No casualties were reported. #1: A magnetic bomb was attached to the car of a senior tribal leader in Abu Ghraib neighbourhood, western Baghdad, Wednesday. The bomb was planted under the passenger seat were the sheikh usually sits, but this time he was driving and got away with superficial injuries while his bodyguard – sitting in the passenger seat was seriously injured. #1: Five al-Qaida-linked prisoners awaiting execution and 11 other inmates broke out of a prison in Saddam Hussein's hometown of Tikrit, prompting a massive manhunt Thursday, officials said. A complete curfew was imposed on the city of 250,000 after the prisoners escaped at around 11:15 p.m. Wednesday. Checkpoints have been set up throughout the city and at roads leading out, a Tikrit police officer said on condition of anonymity because he was not authorized to discuss the operation with media. Sixteen inmates, five of them are sentenced to death for insurgent activties, escaped from a prison in the city of Tikrit, 150 km (95 miles) north of Baghdad, on Wednesday night, police said. Only one of the men who escaped has since been captured, police said. #1: Gunmen killed a policeman in his home in western Mosul, 390 km (240 miles) north of Baghdad, police said. #2: Two police were killed in an attack at a checkpoint in a crowded section of downtown Mosul, police said. 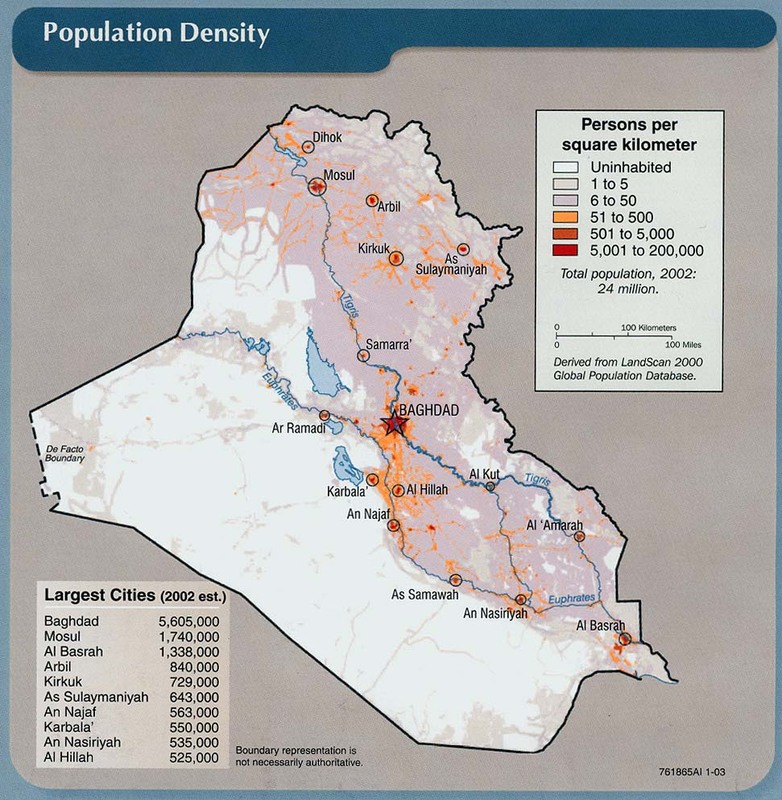 Mosul is 390 km (240 miles) north of Baghdad. #1: Two civilians were wounded Wednesday in a sticky bomb blast in eastern Falluja, a police source said. 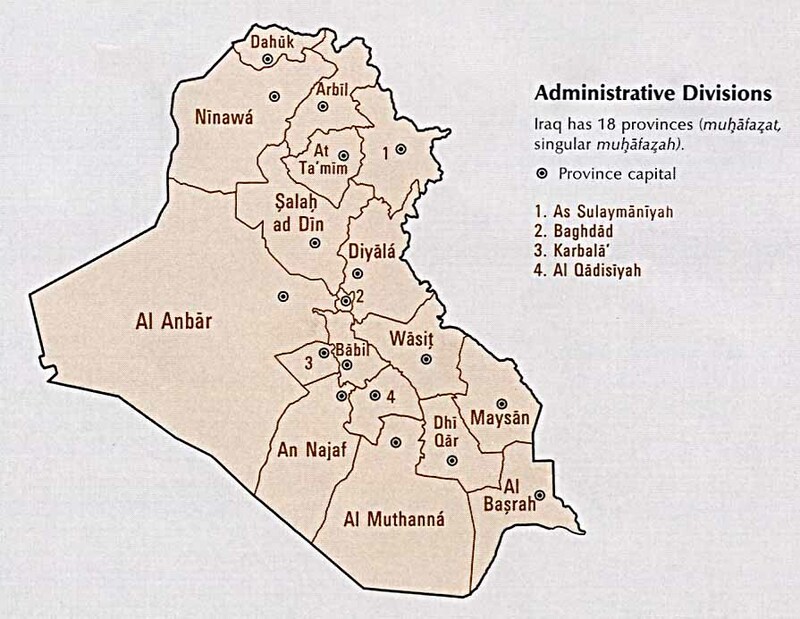 “Two civilians, from the same family, were injured when a bomb, stuck to their vehicle, went off in al-Haswa region, eastern Falluja,” the source told Aswat al-Iraq news agency, noting that the blast targeted one of the region’s mayors. #2: Three civilians on Wednesday were injured in an explosive charge blast in Falluja city, according to a local security source. “This evening, an improvised explosive device (IED) detonated near a house in Zawbaa village, wounding three civilians,” the source told Aswat al-Iraq news agency. #2: An official says militants have killed two members of an anti-Taleban citizen's group tasked with protecting their community in Pakistan's Swat Valley. Mayor Mohammad Ibrar Khan says the assailants struck early today as members of the "peace committee" slept in Swat's Sertelegram area. #2: Militants ambushed a convoy of prominent anti-Taliban tribal elders in volatile northwest Pakistan on Thursday, spraying their cars with gunfire, killing nine people and wounding six others. The members of the anti-Taliban citizen's group were traveling from the Machikhel area to meet security officials in Bannu district when their three-vehicle convoy was attacked by insurgents, police officer Mohammad Ghani Khan said. Nine bodies were recovered from the bullet-riddled cars, including at least four tribal elders who had opposed the Taliban in the region, said Ajaz Khan, another police officer. Six people were wounded and hospitalized, he said. Armed local residents came out of their homes and fought off the Taliban after the ambush, preventing them from finishing off the survivors, Khan said. Security forces later arrived in Khaisur area and joined the gunbattle that still raged Thursday afternoon. #3: Soldiers killed at least six militants in the nearby the Malakand tribal region during a firefight early Thursday, an official said. Insurgents ambushed a vehicle carrying Pakistani troops near an Afghan refugee camp, police official Akram Khan said. The soldiers returned fire and killed the six attackers. None of the troops were hurt. #4: A roadside bomb tore through an Afghan police vehicle killing three policemen and wounding two others in a Taliban stronghold of southern Afghanistan on Thursday, the government said. The police were en route from Lashkar Ghah, capital of Helmand province to neighbouring Girishk district when the blast took place, Daud Ahmadi, spokesman for the provincial governor, told AFP. #5: Unknown armed men shot dead former Jihadi commander Mullah Abdul Rauf in Baghlan province, north of Afghanistan, on Thursday, police said. "Mullah Abdul Rauf was on his way to provincial capital Pul-e-Khumri when unidentified men opened fire on his car in Ainal area, killing him on the spot and injuring two others including his son," a police officer Abdul Hai Ramzi told Xinhua. Rauf, a pro-government Jihadi commander was among those who had already handed over his arms to government and supported durable peace in the country. #6: A roadside bomb wounded seven people including a provincial intelligence chief, four of his bodyguards and two civilians in the western city of Farah, provincial governor Rohul Amin said. #7: Afghan and foreign forces killed 15 Taliban insurgents in an operation in the Char Chino district of Uruzgan province in the south of the country on Wednesday, the Interior Ministry said. The Taliban could not be reached for comment. #8: Several insurgents were killed during an operation conducted by Afghan and foreign troops in the Marjah district of southern Helmand province overnight, provincial police chief Asadullah Sherzad said. Air strikes against Taliban militants left five insurgents dead and injured over a dozen others in Taliban former stronghold Kandahar of southern Afghanistan, police said Thursday. "The attack by international troops occurred in Faqiran villageof Arghandab district late Wednesday night as a result five rebelswere killed and 15 others sustained injures," deputy to provincialpolice chief Fazal Mohammad Shirzad told Xinhua. Meantime, some locals believed that six of the injured men are innocent villagers, but Shirzad insisted that all injured in the air raids are Taliban fighters. #1: Four civilians were wounded in a roadside bomb explosion in central Baaquba city, a security source said on Wednesday. “The bomb went off on Tuesday night (Sept. 22) targeting a civilian gathering near al-Furousiya park in central Baaquba, injuring four civilians,” the source told Aswat al-Iraq news agency. #1: Three civilians were wounded Wednesday in an improvised explosive device blast in west of Baghdad, according to a security source. “An improvised explosive device, planted by unknown gunmen on the road in Abu Ghraib region, west of Baghdad, went off targeting an Iraqi army vehicle patrol, injuring three passing civilians,” the source told Aswat al-Iraq news agency. #1: The killing of two ethnic Mandaeans in neighboring jewelry stores in the southern Iraqi city of Basra on September 19 is being considered a religious hate crime, RFE/RL's Radio Free Iraq (RFI) reports. Salam Nassir al-Khudadi, the spokesman for Basra's Mandaean community, told RFI on September 21 that because the criminals did not steal much jewelry, the incident is likely a Mandaean hate crime. #1: Police forces found a body of a civilian inside his house in eastern Mosul, a security source said Wednesday. “Police forces found on Wednesday morning (Sept. 23) a civilian body inside his house in al-Zahraa neighborhood in eastern Mosul,” the source told Aswat al-Iraq news agency. #2: One policeman was killed and another was wounded when a roadside bomb went off in western Mosul city, a security source said Wednesday. “The incident took place at Ragim Hadeed area, western Mosul,” the source told Aswat al-Iraq news agency. #3: A similar improvised explosive device in Tal al-Zalat, 40 kilometres (25 miles) west of the city killed an Iraqi soldier and wounded two other troops, the official added. #4: Gunmen opened fire on two policemen in Rejm Hadeed neighbourhood, Thursday morning, killing one and injuring the other. #1: Three Iraqi army soldiers were wounded Wednesday in a bomb explosion in eastern Falluja, according to a security source. “An improvised explosive device went off in central al-Haswa region targeting an army vehicle patrol, injuring three soldiers, including a lieutenant,” the source told Aswat al-Iraq news agency. “The lieutenant is in critical condition and was rushed to a nearby hospital for treatment,” he added, noting that all roads leading to the region was closed. #1: On Wednesday morning in southern Kandahar province, a family of seven died when their vehicle struck a bomb in Panjwayi district, said Zalmai Ayubi, a spokesman for the governor. All in the car were killed including two young children, he said. #2: Another bomb blast on Tuesday afternoon killed five people in western Farah province, according to Raouf Ahmadi, a police spokesman for the western region. They were traveling in a private van toward neighboring Ghor province when their vehicle hit the bomb, he said. Eight others in the van were wounded. #3: A local Taliban commander Mullah Abdul Latif and his two comrades were killed Tuesday night in a clash with another group of the outfits in Herat province of western Afghanistan, the provincial police chief said Wednesday. "Two group of Taliban encountered each others in Pashtun Zarghon district as they discorded on dividing money which were collected from local people, resultantly three militants were killed and four others sustained injuries," Police Chief Ismatullah Alizai said. From the other side, Taliban commander Habib Mughol and his three men got wounded in the fire fight, Alizai added. #4: A group of Taliban militants stormed the home of an Afghan police officer in Guzara district in western Herat province, killing his teenage daughter and wounding his wife, regional police spokesman Abdul Rahoof Ahmadi said. Ahmadi said the officer managed to escape before the Taliban set his home on fire. #5: Three insurgents were killed when a roadside bomb they were planting in a dirt road exploded in the western Khash Rod district of southern Nimroz, provincial governor, Ghulam Dastagir Azaad said. #6: Air raid carried out by international troops against Taliban militants on Wednesday claimed the lives of 21 militants in Nimroz province of southwestern Afghanistan, said the provincial governor Ghulam Dastgir Azad. "It was around 1 p.m. (GMT 0830), acting upon intelligence information, the international forces pounded Taliban militants on three vehicles who were reportedly driving to attack border police checkpoints in Char Borgak area near Pakistan border," Azad told Xinhua. There was no casualties on civilians because the incident occurred in a dessert zone, the official further said. DoD: Spc. Michael S. Cote Jr. The British MoD is reporting the death of a British ISAF soldier in an IED attack in the Gereshk district, Helmand province, Afghanistan on Monday, September 21st. The DoD is reporting the death of an Airman from an undisclosed non-hostile incident on Abdullah Al Mubarak Airbase, Kuwait on Sunday, September 20th. NATO is reporting the death of an American ISAF soldier in an IED attack in an undisclosed location in southern Afghanistan on Monday, September 21st. #1: Three people were killed and two others wounded when an improvised explosive device went off in northern al-Hilla city on Monday, a police source in Babel said. “A sticky IED attached to a vehicle inside a fuel station in al-Latifiya district, (70 km northern Hilla, went off on Monday, leaving three people killed and two others wounded,” the source told Aswat al-Iraq news agency. #1: “A roadside bomb devastated a U.S. truck in Balad suburb,” the source told Aswat al-Iraq news agency. He said that the truck was set on fire. #1: A U.S. Hummer was destroyed by gunmen’s rockets in Dalouiya,” the source said. He said that U.S. forces responded and opened fire toward nearby farms. #1: Finnish peacekeeping forces in Afghanistan were attacked in the early hours of Monday. A rocket-propelled grenade fired at the forces missed its target. The attack took place in the west of Mazar-i-Sharif, where Finnish and Swedish crisis management forces are deployed, said the group’s new commander, Lieutenant General Tommi Härkönen by telephone from Afghanistan. The incident began when two RPGs were fired at a Finnish vehicle at 10:50 PM local time. As the situation continued, about 20 Finnish peacekeepers fired warning shots in the direction of the attackers, Härkönen said. The incident ended when the attackers fled under cover of darkness. After the attack, the peacekeepers returned to the peacekeepers’ main camp 40 kilometres away, and an investigation into the attack began as soon as the sun came up. #2: The Tehreek-e-Taliban Pakistan (TTP) has reportedly killed 45 security personnel in Waziristan, while 34 extremists have been killed across the region in the last 24 hours.According to a television report, helicopter gunships pounded military hideouts in South Waziristan killing at least 26 Taliban fighters besides injuring many others.Officials said militant hideouts were targeted in Spina Tigha and Makeen areas of South Waziristan.Meanwhile, in North Waziristan around 600 extremists attacked a check post in Upper and Lower Kofar. The casualties are yet to be verified, Xinhua reported. #3: A suicide bomber killed two accomplices late on Monday when his suicide vest accidentally exploded as he was preparing to attack foreign forces near Delaram district in southwestern Nimroz province, the interior ministry said in a statement. #1: Sunday The officer was shot dead by gunmen in military uniform at the town of Jalawlaa, 120 km northeast of Baghdad, the source told Xinhua on condition of anonymity. #2: Sunday In separate incident, a roadside bomb went off near an army patrol at the town of Sa'adiyah, some 110 km northeast of Baghdad ,wounding three officers and two soldiers, the source said. #3: Sunday Also in the day, a policeman and a civilian were wounded when gunmen attacked a police checkpoint at the town of Maqdadiyah, 100km northeast of Baghdad, the source added. #4: Sunday In Baquba, the capital city of Diyala province, two policemen were wounded in two attacks by unknown gunmen in the city during the day, while outside Baquba, a woman and a four-year-old child were wounded in land mine explosion in a farm at a rural area. #1: A roadside bomb targeted an Iraqi army patrol in Yarmouk neighbourhood, Sunday, injuring two servicemen. #1: A four-year-old child has been killed by random fire in Talafar district, a local security source said on Monday. “On Monday, the morgue in Mosul received the body of a child, who was killed by unknown fire in front of his house in al-Khadraa neighborhood on Sunday (Sept. 20) evening,” the source told Aswat al-Iraq news agency. The source did not provide further details. #1: Three soldiers (Danish) from a different company were injured on Friday when their vehicle drove over an improvised explosive device in the province. The three were evacuated to the Camp Bastion field hospital and were well enough to contact relatives themselves. #2: Police in North West Frontier Province killed a militant planning a suicide attack, said provincial police chief Malik Naveed Khan. Two provincial government ministers in the area may have been the target, Khan said. Sunni Muslim families gather at a cemetery in Baghdad to pray for relatives and friends on the first day of Eid al-Fitr marking the end of the holy month of Ramadan. A man was killed and four people wounded south of Baghdad when a homemade bomb engulfed a family visiting relatives' graves as Ramadan ended and Eid al-Fitr began, police said. One U.S. soldier is killed and 12 injured when a Blackhawk helicopter crashes inside the base. No information available on the cause. Bomb planted in a cemetery kills a man and injures four of his family members. Authorities announce heightened security for Baghdad during Eid al-Fitr. Indeed, today appears to have been quiet. Daniel Yergin gives his take on the present and future of petroleum. Yergin scoffs at the imminence of Peak Oil, and thinks that economic interdependence makes future resource wars unlikely. He has his detractors on both these points, but wisdom comes from understanding diverse views. The blue-domed memorial Saddam Hussein built in Baghdad to honour Baath party founder Michel Aflaq, a Syrian Christian who started the movement that dominated Iraq for decades and governs Syria today, has been turned into a shopping centre for U.S. soldiers. Aflaq’s tomb, sitting at the centre of a vault adorned with Koranic verses and Arabesque designs, has been boarded up to make way for a barber shop, a store selling kitschy Iraq souvenirs, a pirate DVD vendor and a ring of other stores. [The Chinese] drilling operation at the Ahdab field is right next to al-Mazzagh village. And, complains one resident, Abu Abed, right on top of his land. From his front door, he looks straight onto the blast walls and concrete gun towers protecting one of the Chinese drilling platforms. "When I protested, they said they would pay compensation," he says, "but I have received nothing." There were hopes too, when the Chinese company first arrived, of an employment bonanza. "We thought everyone will find a job," said Zahi, a village elder. So far, they have taken on just a handful of al-Mazzagh's residents as guards. But the CNPC says there is little more they can do for local people. "We are sorry, but they don't have skills and they can't speak English," says a site manager who agreed to come out to talk to the BBC. He said he wasn't allowed to bring reporters or anyone else inside. Although some people said the Chinese were still welcome, the mood has hardened. There have been several reported acts of sabotage, including power lines to the drilling compounds being severed. 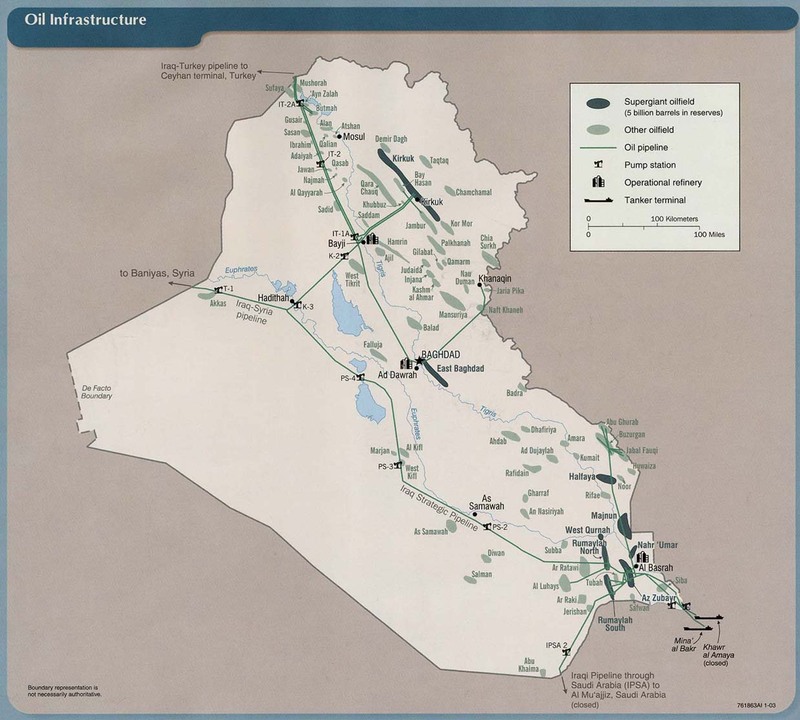 The Iraqi government has increased security at the site. American helicopters from a nearby base occasionally keep watch. And with the project due to expand once full production gets underway, Zahi warned of trouble if al-Mazzagh does not start to see more tangible benefits. "People who don't find jobs could become thieves and looters." Three U.S. troops die in Afghanistan, one in combat in the east, two in an unspecified non-combat incident in the south. No further details are available at this time. The total death toll from the attack on Thursday that killed the Italians now stands at 26. The CIA is deploying teams of spies, analysts and paramilitary operatives to Afghanistan, part of a broad intelligence "surge" that will make its station there among the largest in the agency's history, U.S. officials say. When complete, the CIA's presence in the country is expected to rival the size of its massive stations in Iraq and Vietnam at the height of those wars. Precise numbers are classified, but one U.S. official said the agency already has nearly 700 employees in Afghanistan. There is a growing suspicion in America that Obama has been socked into the heart of the Afghan darkness by ex-Bushie Robert Gates – once more the Secretary of Defence – and by journalist-adored General David Petraeus whose military "surges" appear to be as successful as the Battle of the Bulge in stemming the insurgent tide in Afghanistan as well as in Iraq. The Washington Post is reporting the death of a Danish ISAF soldier from small arms fire attack in Helmand province, Afghanistan presumably on Saturday, September 19th. One additional soldier was wounded in the attack. 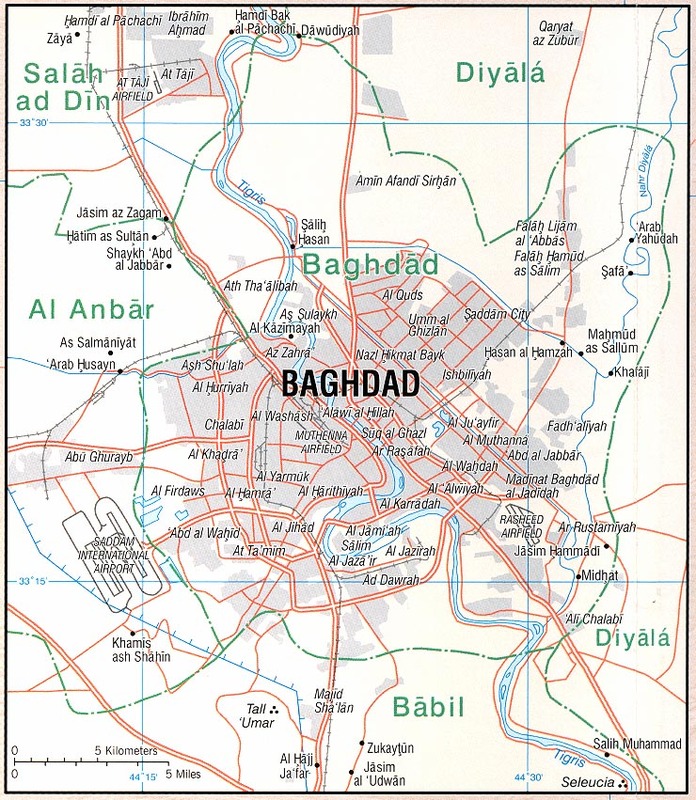 #1: Two civilians were injured by a roadside bomb in Saidiyah neighborhood in south Baghdad around 6 p.m. Friday. #1: A leading member of the armed group of al-Naqshabandiya was killed in clashes with an Iraqi army force east of the city of Baaquba on Friday, an official security source in Diala said. “Clashes erupted today (Sept. 18) in al-Lateen neighborhood, al-Saadiya district, Khanaqin, (155 km) east of Baaquba, between Iraqi army soldiers and armed members of the al-Naqshabandiya group,” the source told Aswat al-Iraq news agency. “The clashes left Aws Abdullatif al-Awsi killed and his brother, who is a member of the same group, detained,” he said, not giving further details. #1: Unidentified gunmen kidnapped a van cab vehicle boarding 11 passengers including the driver on the Hilla-Karbala highway on Friday, a Babel police source said. “An owner of a cab vehicle reported that his car, which operates on the Hilla-Karbala transport highway, was kidnapped with its eleven passengers including the driver on board,” the source told Aswat al-Iraq news agency. “The car owner said he had received a phone call from the kidnappers telling him that all of the passengers would be investigated and tried and would either be released or executed,” the source said. #1: Police forces on Saturday defused a booby-trapped car bomb in northern Babel province, according to a local security source. “A car bomb carrying six Katyusha rockets and an Iranian-made explosive device was found at an orchard in al-Maseeb district (45 km north of Hilla),” a source from the Criminal Investigations Department told Aswat al-Iraq news agency. #1: A car bomb exploded Friday at a market south of Baghdad in a region that was once the scene of frequent attacks on Shiites, killing seven people and wounding 21 others, police and hospital officials said. The bomb, inside a parked car, exploded in the town of Mahmoudiya about a half hour before the end of the day's fasting for Ramadan, when shoppers were in the market to buy last-minute supplies for the evening meal, or iftar. Police said the bomb exploded near a bakery in a primarily Shiite section of the town, setting fire to nearby buildings. #1: Separately, the Hungarian defense ministry said a suicide attacker drove a vehicle into a Hungarian convoy on Saturday morning in the northern city of Pul-e-Khumri. The vehicle exploded beside the convoy. There were no casualties in the convoy but one military vehicle was damaged. The bomber was killed. The Hungarians, who are part of a reconstruction unit, were able to return to their camp safely. #2: Two children were killed and three others wounded Saturday as the explosive vest of a suicide bomber went off prematurely in Herat province of western Afghanistan, a senior police official said. "A suicide bomber, apparently going to target police and international forces, was killed as his explosive vest went off prematurely in a lane near a local market," police commander in western region Ekramuddin Yawor told Xinhua. "Two children passing the scene were killed and three others including a woman and two children got injured in the blast, " the police official said. #3: Five Afghan civilians were killed and two others sustained injures as unidentified armed men attacked the crowd in Jawzjan province, north of Afghanistan Friday night, said a statement of Interior Ministry issued here on Saturday. "Unknown gun men opened fire at people who were praying in Bati Zadran Mosque of Haqcha district Friday night, as a result, five people were killed and two more injured," the statement added. The DoD is reporting a new death previously unreported by the military. Sgt. Robert D. Gordon II Died at at Landstuhl Regional Medical Center, Germany on Wednesday, September 16th from a non-combat related illness, after becoming ill in an undisclosed location in southern Afghanistan on Friday, September 11th. The DND/CF is reporting the death of a Canadian ISAF soldier in a roadside bombing in the Panjwai District, Kandahar province, Afghanistan on Thursday, September 17th. Eleven additional soldiers were injured in the attack. NATO is reporting the death of an American ISAF soldier in a roadside bombing in an undisclosed location in southern Afghanistan on Thursday, September 17th. #1: Three mortar rounds were fired at the Green Zone at around 9 p.m. Thursday. One fell in the Green zone, with no casualties reported. And the other two fell short, one behind Babil Hotel and the other near Jadriyah Bridge, injuring four civilians. #1: Unknown gunmen killed on Thursday the chief of a district in Babel and wounded two of his family members in an attack in the northern part of the province. “The incident took place at al-Khidhir area, 45 km north of Hilla city,” a local police chief told Aswat al-Iraq news agency. “The chief was on his way to a mosque in the neighborhood when he came under the gunmen’s fire,” the source said. #1: Three civilians were wounded Friday by unknown gunmen in southern Hilla, a police source said. “Unidentified gunmen opened fire randomly on civilians’ vehicles on Hilla-Kefl road, southern Hilla, injuring three civilians,” the source told Aswat al-Iraq news agency. #1: Two militants were killed and another was wounded as they engineered a car bomb in Abu Ghraib district of western Baghdad, the office of Baghdad security spokesman Major-General Qassim al-Moussawi said. #1: A man and a woman were wounded Friday in a bomb blast in northern Babel, according to a police source. “An improvised explosive device, planted on the Mussayab-Karbala road, north of Hilla, went off targeting a U.S. convoy,” the source told Aswat al-Iraq news agency, noting that the blast damaged a civilian car in front of the convoy and injured the driver and the woman beside him. #1: Thursday A bomb planted in a parked car wounded two members of Kurdish security forces and two civilians in Zammar, 440 km (270 miles) northwest of Baghdad, police said. #1: An improvised explosive device went off near an electricity tower in southwestern Kirkuk, causing some damage to it, a local police chief said Friday. “An explosive charge went off late Thursday (Sept. 17) under an electricity tower in al-Riyadh district, southwestern Kirkuk,” Brig. Sarhad Qadir told Aswat al-Iraq news agency. #1: The police found the body of a civilian man while another was shot dead by gunmen in different incidents in the city of Mosul on Thursday, a Ninewa police source said. “The body, which showed signs of having been shot in the head and chest, was found dumped in the area of Bab Lakash in central Mosul,” the source told Aswat al-Iraq news agency. “Another civilian was shot down by gunmen on the main street in central al-Islah al-Ziraie neighborhood, western Mosul, while other gunmen raided a garments store in al-Muthanna neighborhood, eastern Mosul, and opened fire at the owner, leaving him wounded,” the source added. #2: Gunmen in killed a civilian in a drive-by shooting in Mosul, police said. #3: Gunmen stormed a shop in Mosul and wounded the vendor, police said. #1: Three people were killed and five others wounded on Thursday evening when a truck bomb went off near a checkpoint in Talafar district, northwest of volatile Mosul city, a security source said. “A truck carrying cement went exploded near the al-Shahidain checkpoint in Talafar, leaving three persons, including two policemen, killed and five others who happened to be nearby the blast scene then wounded,” the source told Aswat al-Iraq news agency. #1: A gunman was killed when an improvised explosive device he was planting on a roadside in central al-Amiriya district, southern Falluja, went off on Thursday, a local police source said. #1: An Australian Bushmaster Protected Mobility Vehicle has been struck by an Improvised Explosive Device, resulting in damage to the vehicle. The road-side bomb did not cause casualties to Australian troops and there are no reports of Afghan locals being injured. The soldiers, from the Mentoring and Reconstruction Task Force, were operating north of Tarin Kowt when the incident occurred on the morning of Wednesday 16 September 2009. #2: A suicide car bomb destroyed a two-story hotel and several shops in a northwestern Pakistani town on Friday, killing 25 people in an apparent attack on the country's Shiite community, police and a government official said. The blast took place in the Shiite-dominated village of Usterzai. The British MoD is reporting the death of a British ISAF soldier at the Royal Centre for Defence Medicine, Selly Oak, England on Wednesday, September 16th. The soldier was wounded in a roadside bombing in rural north west Helmand province, Afghanistan on Saturday, September 12th. The British MoD is reporting the death of a second British ISAF soldier from an IED attack in the Gereshk district, Helmand province, Afghanistan on Wednesday, September 16th. The DoD is reporting a new death previously unreported by the military. Spc. Demetrius L. Void was hit by a military vehicle while conducting physical training at Kandahar Airfield, Afghanistan on Tuesday, September 15th. The Italian Defence Ministry is reporting the deaths of six Italian soldiers in a suicide car bombing in downtown Kabul, Afghanistan on Thursday, September 17th. Four additional Italian soldiers were wounded and ten Afghan civilian were killed and at least 52 other were wounded in the attack. 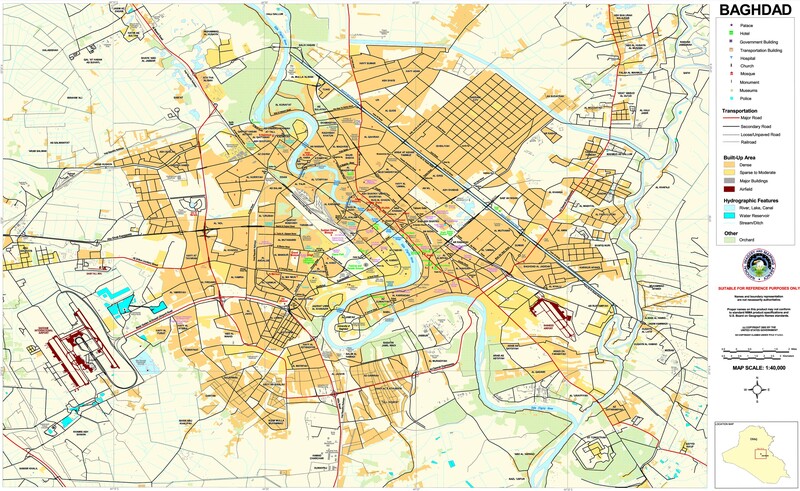 #1: Baghdad’s heavily fortified international zone was attacked by rocket fire for a second night on Wednesday. One rocket landed on the edge of the American Embassy compound, about a mile from the building where the two leaders met, wounding several people at a security company, according to the Interior Ministry. A second landed on the opposite side of the Tigris River near the Babylon Hotel, a towering landmark in the cityscape, killing one and wounding two, a ministry official said, speaking on condition of anonymity under the ministry’s rules. #2: Fires erupted at the building of al-Bayyna daily in Baghdad issued by Hezbollah in Iraq. “The fires were caused by a power short-circuit,” Ali al-Daraji, the daily’s editor in chief, told Aswat al-Iraq news agency. The incident left no casualties, but the newspaper’s computer department and archive were damaged before firemen intervened. #3: Wednesday One civilian was wounded when a sticky improvised explosive device (IED) hit a civilian vehicle near Qassem Abu al-Kass Restaurant in al-Adhamiya area, northern Baghdad,” the source told Aswat al-Iraq news agency. #4: A member of Baghdad’s provincial council on Wednesday escaped an attempt on his life when a sticky bomb targeted his car in downtown Baghdad, according to a security source. “On Wednesday, Mohammad al-Rabaie, a provincial council member, escaped an attempt on his life when a sticky explosive device targeted his car in al-Karada area, downtown Baghdad,” the source told Aswat al-Iraq news agency.“The device exploded shortly after he left the car,” the source noted. One civilian was injured when a sticky bomb exploded under the car of Baghdad provincial council member Mohammed al Rubaiee in Karrada neighborhood around 4 p.m.
#5: A sticky bomb attack destroyed one civilian car on Palestine Street. #6: Wednesday One civilian was injured in a sticky bomb attack in Adhemiyah neighborhood. #7: Another bomb attached to a car wounded two civilians in Adhamiya district, northern Baghdad, police said. #8: A blast in northern Baghdad on Thursday caused by a sticky bomb wounded the driver and a guard of the Islamic studies director at the Sunni Endowments. “The bomb was attached to the official’s car by unknown perpetrators,” a source from the Iraqi police told Aswat al-Iraq news agency. He said that the explosion took place at Street number 20 in al-Adhamiya neighborhood, northern Baghdad. “The director was not in the car when the detonation occurred,” the source said. #1: Three civilians on Wednesday were killed and five others were injured when a booby-trapped car bomb exploded near Diala’s Baaquba city, according to a local security source. “On Wednesday, a car bomb targeted a gathering of people in al-Ghalibiya area, al-Khalis district (15 km north of Baaquba), killing three civilians and injuring five others,” the source told Aswat al-Iraq news agency. #1: One Kurdish security element was killed and two others were wounded in an armed attack in Touz Khormato, a police source said Thursday. “Unknown gunmen attacked a Kurdish security patrol in central Touz Khormato, northeast of Tikrit, and opened fire on it, killing one element and injuring two,” the source told Aswat al-Iraq news agency. #1: Three members of the Asayesh (Kurdish for security) forces were killed or wounded when a bomb targeted their patrol south of Kirkuk city, according to a local source. “Two personnel were killed, while a third was wounded when an explosive device exploded in al-Askari neighborhood, al-Touz district (80 km south of Kirkuk),” the source told Aswat al-Iraq news agency. #1: One serviceman and a civilian on Wednesday were injured in an explosive charge blast in western Mosul, according to a security source. “An improvised explosive device (IED) hit an Iraqi army patrol vehicle in al-Islah al-Ziraie neighborhood, western Mosul, wounding an Iraqi patrolman and a civilian, who was close to the scene of the blast,” the source told Aswat al-Iraq news agency. #1: Gunmen set bombs inside a newly built house and destroyed it. The house belongs to a local Sahwa leader in Saqlawiyah town north of Fallujah. #1: Bodies of three Pakistanis killed in Afghanistan on Tuesday were handed over to Pakistani authorities at the Borki border checkpost on Wednesday morning. According to sources, Mohammad Hussain, Mumtaz Ali and Tajir Hussain were going from Kabul to Parachinar with their Afghan driver when their vehicle was stopped in Mirzaka near Gardez, the capital of Afghanistan’s Paktia province, by unidentified gunmen. The four men were sprayed with bullets and their bodies were thrown on the highway. #2: A bomb ripped through a shop in Khost province east of Afghanistan claiming the life of one person and wounded two others, all of them civilians, spokesman of provincial administration Kuchi Nasiri said Thursday. "The blast took place inside a shop Wednesday in Nadir Shahkot district left one innocent civilian dead and injured two others," Nasiri told Xinhua. #3: At least 10 militants were killed and six others arrested on Thursday in an early morning clash with security forces in northwest Pakistan's Swat district, local TV channel reported. According to the private ARY News channel, a group of militants was attempting to enter Mingora, major town of Swat, by crossing Swat River when they confronted with the security forces. Ten militants were killed in the exchange of fire while six others were arrested who were later shifted to an unknown location for further investigations.